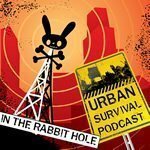 Hosts Aaron and Jonathan discuss planning a survival strategy and give a critique of Doomsday Preppers. Doomsday Preppers hits television screens leaving your hosts insulted and entertained. However, there are lessons that can still be learned. After giving their thoughts on the show Aaron and Jonathan segue into developing your survival strategy, questions to ask yourself, and a method for finding the wholes in your plans. What are the pieces of the concern? How long will it take to clear up? What do you need to get you and your family through or away from the issue? practicalpreparedness is YouTube’s Southernprepper1 and engineer775.